I read an article the other day about exercise’s ability to help us handle stress (check out the article here). Summed up in one sentence? Regular exercise makes us more adaptable and flexible when we’re thrown into stressful situations. Interesting, eh? Figured it was perfect given the stress we pile on during the holidays: winter work events, family gatherings, buying gifts, and so on. 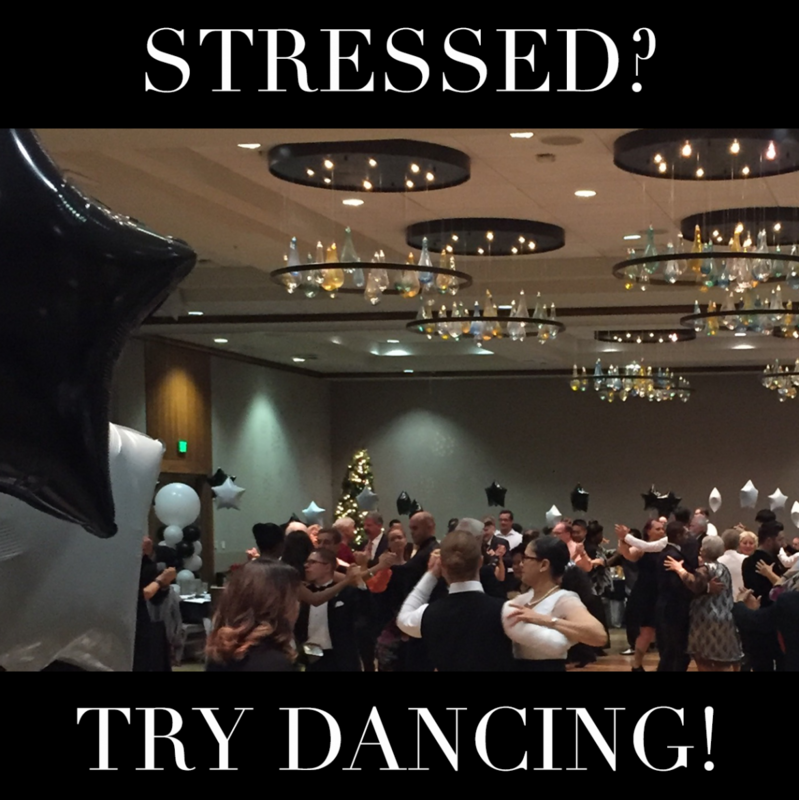 And knowing ballroom dance is an excellent way to get a workout, if it’ll help us handle the often-stressful holidays while giving us much needed “me” time, that’s a win-win, right? So check us out at arthurmurraypugetsound.com or email me at ross.ambellevue@gmail.com to start your “holiday stress reduction” boot camp!